RB Shaun Wick will be looking to get his season on track versus EMU. Wyoming ran the ball for a disappointing 29 yards last week against North Dakota, the lowest total under Craig Bohl to date. I would expect the Wyoming running game to be much more effective against Eastern Michigan and I have history (although rather limited) on my side. The two lowest rushing outputs for the Cowboys in Bohl’s first season were against Air Force (51 yards) and Boise State (80 yards). 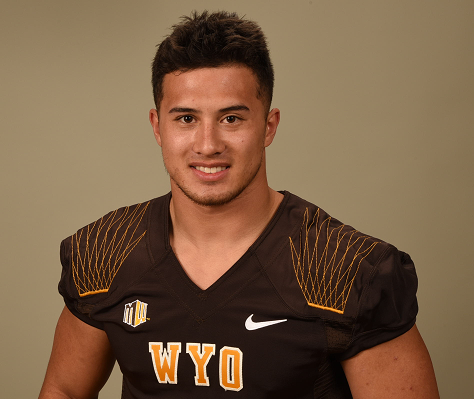 Following both those contests Wyoming significantly improved their rushing totals bouncing back after Air Force with 155 yards against Oregon and improving after Boise State with 169 yards against New Mexico. The Eastern Michigan Eagles gave up 223 yards per game on the ground in 2014 and opened their 2015 season allowing 229 yards to Old Dominion which should give Wyoming a good opportunity to regain their mojo on the ground. Another complaint heard last week from fans and the media was the play calling by offensive coordinator Brent Vigen on first down. The Pokes ran the ball 10 times and passed the ball 5 times with a fresh set of downs and many thought they were being too predictable by running the ball so much. When looking at the numbers for Vigen in 2014 you will see a very similar play calling distribution on first down as we saw against North Dakota. The Cowboys ran the ball roughly two-thirds of the time and pass the ball the other third of the time, the complete breakdown can be seen below. So perhaps the answer to the first down problem is to be more efficient on first down in the running game than the Pokes were last week? Against North Dakota they averaged 3.2 yards per carry on first down while throughout the 2014 season that number was 4.67 yards per carry. The running efficiency on first down talked about above helps keep the offense on schedule and keeps the Cowboys out of third and long situations. Third down was a major problem for the Cowboys last week as they only converted 3 of 13 attempts (23%). The main culprit was down and distance. The Pokes faced only 1 third and short (1-3 yards to go) situation and had 6 third and long (10 plus yards) attempts forcing them to pass 12 times on third down while only attempting 1 rush. As you can see from this Wyoming football stat pack the Cowboy rushing attack is linked to so many different factors that are key to the success of Wyoming football and Eastern Michigan rushing defense very well may be the elixir that fixes all early in this 2015 season.